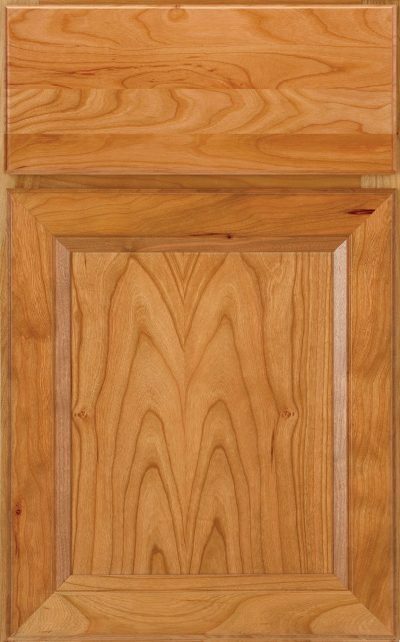 Door features square design with spline mitered solid wood frame and veneered recessed center panel. 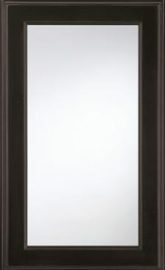 All door heights receive a full-height center panel (no center horizontal rail). 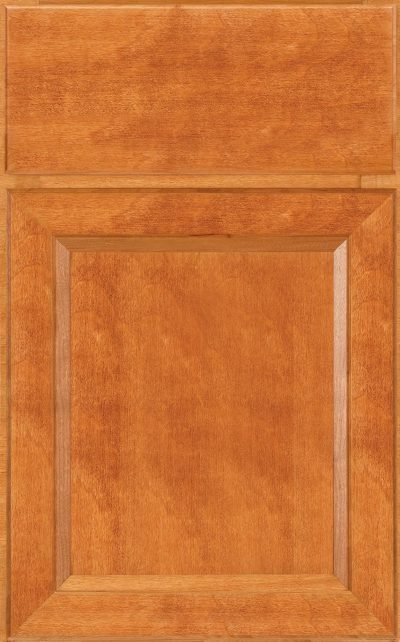 Drawer front is solid wood, slab construction with profile on all four edges. Five piece drawer front modification available.